Being a well-distinguished company in the market, we are into offeringWine Bottle Display Box. In order to cater to the numerous necessities of the patrons, we have been able to provide a qualitative range of Wooden Bottle Box (Handcrafted Wooden Bottle Box). Our clients can avail from us a wide range of Athar Bottle Boxes, which are beautifully adorned and made from specific raw material to keep the fragrance of perfumes intact and ever lasting. 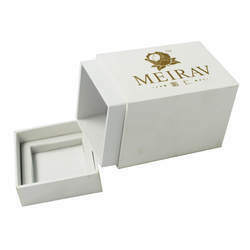 We offer these boxes in attractive colors for packing of perfumes. Besides, customization of the boxes can be done in sync with our clients’ dictation. 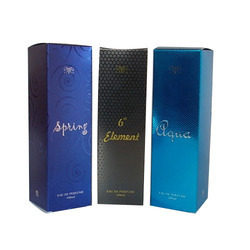 With our expertise and trustworthiness, we are engaged in offering an optimum quality range of Bottle Packaging Boxes.